Like all its Canadian locations, the Aveda Institute’s eco-friendly Vancouver location in historic Gastown honours the global environment. At Aveda, “eco-friendly” isn’t just a catchword that’s tossed around: the company’s commitment to the environment has been in place since its conception. It’s the only cosmetics and health company to be 100% wind-powered and in 1989, they were one of the first to sign with the CERES principles, a set of rules for creating products in an earth-conscious way. In fact, in Aveda’s mission statement, attributed to company founder Horst M. Rechelbacher, care and concern for the environment are the first things mentioned. “Aveda was one of the first companies to be legitimately eco-friendly,” says Cindy Chang, national student recruiter for Aveda Institutes & Academy Salons Canada. With Vancouver on a mission to become the world’s greenest city by 2020, Vancouverites who want a career in hairstyling will find Aveda an ideal place to study. Each Aveda Institute location is carefully selected: they not only adhere to a strict code of environmental friendliness, but also contribute towards maintaining the integrity of the neighbourhoods in which they settle. Aveda’s location in historic Gastown is no exception. That commitment also extends to the company’s products. “A lot of people are huge fans of the Aveda brand because it’s 99% plant and flower derived,” says Chang. “Everything that we do comes from either plants or flowers. For example, alcohol in a lot of cosmetic products is synthetically made; ours comes from a nut. There are three different ways to extract alcohol but this is the method we use. “Lipstick that you get at the mall have a lot of lead in them. Ours is 100% natural. You can eat the tube of lipstick and be a-okay,” she laughs. Aveda ingredients are obtained from all over the world using fair trade and pay practices, which again ties into the company’s mission to give back whenever and wherever possible. For added incentive, the top two fundraisers go to Africa to do a study tour and see for themselves how their efforts help those local communities. Chang was one of the two winners this year, and will be heading to Ethiopia in April. The school offers two levels of hairstyling programs, with educators who mentor and guide students and a curriculum that’s heavily focused on career. The Beginner Level program is designed for students who have little or no experience with hairstyling but who are passionate about learning the trade. The advanced Academy Salon program is for those who already completed their diploma but who want intensive six-month training in cut or colour, or twelve months to complete both. The students not only partake in Aveda’s innovative hair program, but they’re also introduced to the business side of the industry. Students are also encouraged to think of their long-term goals. During a project called Sessions Hairstyling, students direct a photo session alongside professional makeup artists and photographers. They can then use the photos in their portfolio. Another project, Build Your Own Salon, gives them an opportunity to create their dream salon, right down to designing a guest list and price list. It also explains why Aveda Institute can boast an impressive 95% job placement rate. 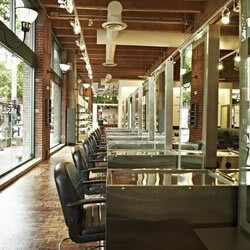 Aveda Institute has locations in Vancouver, Victoria, Calgary, Edmonton, Winnipeg, Toronto and Montreal. 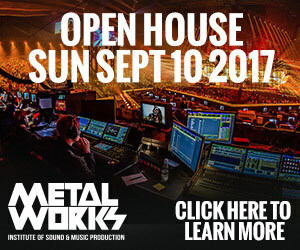 Please contact the school for more information on program dates for the Beginner and Advanced levels at the Institute nearest you. Linda Galeazzi has been an online writer and proof reader for several years.